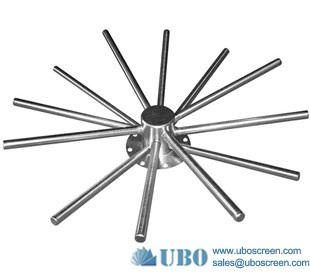 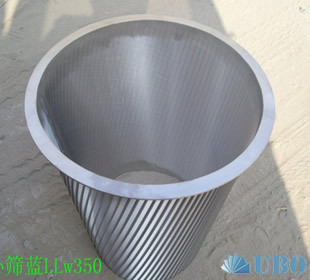 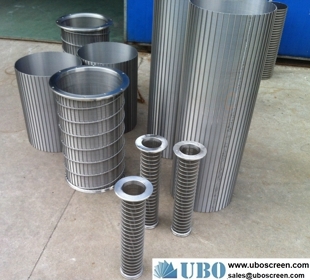 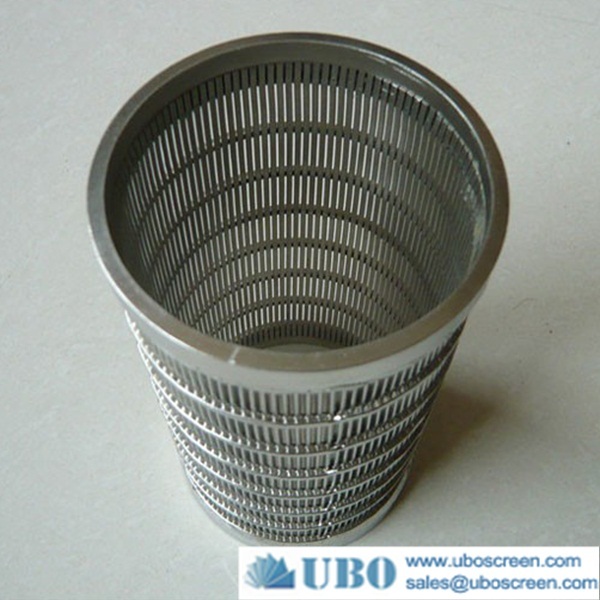 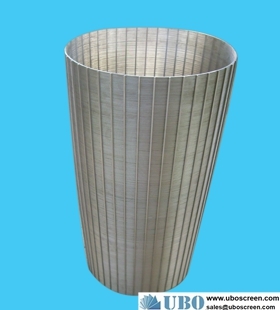 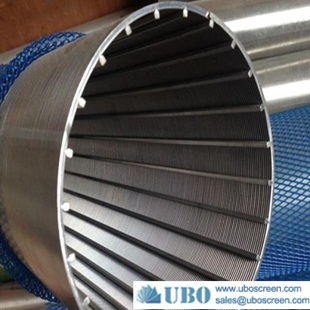 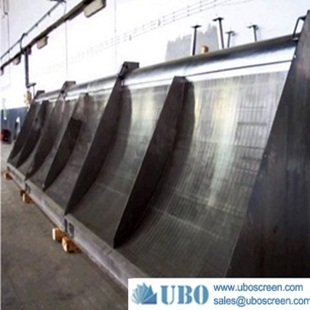 The wedge wire screen made. 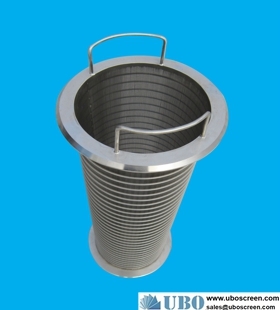 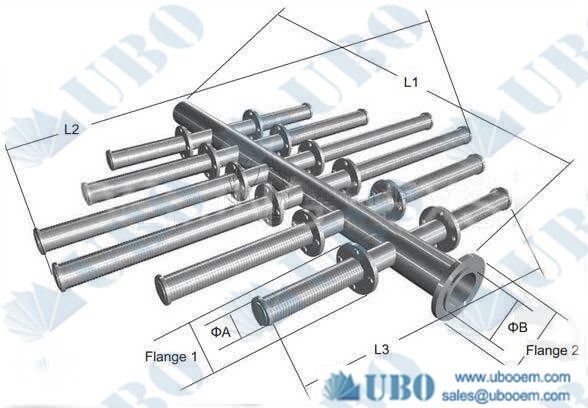 in cylinder type provide a unique combination of the most important features required for maximum screening efficiency. 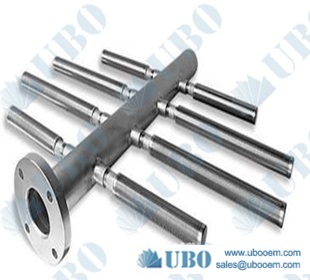 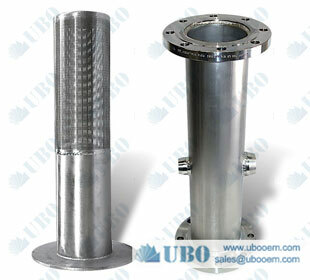 The product is customer designed, customized slots are considered. 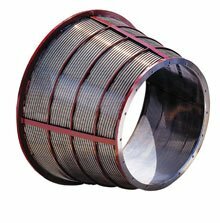 They are made from V shaped profile wire, with an unique welding process, offering great strength, precision ,long service life and a wide range of applications. 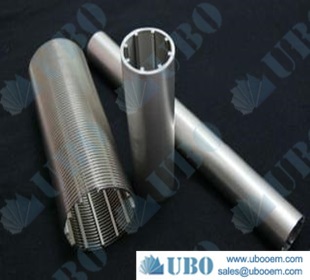 The diameter arrange from 35mm to 850mm,the length up to 3m.The slot opening we can get 0.05mm.The SS material and detail dimensions are all according to your requirement. 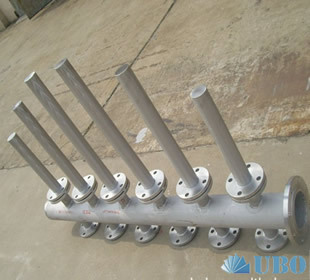 1, deep well pump 2, dive the water pump 3, in the water-treating equipment 4,the environmental protection 5,the sea water transforms into the industrial water and life use water desalination treatment 6, running water treatment 7,water softening treatment 8,the petroleum industry 9,The petroleum product terminal filters and the chemical acid 10, the alkali liquid filters 11, the ethyl alcohol and so on the organic solution recycling filters. 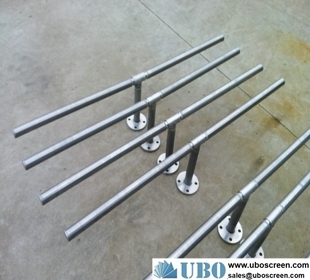 Slot: 0.10, 0.15, 0.20, 0.25, 0.30,....., 3.00 also achieved upon request.